manual and fully automatic strapping machines are used with battery / electric / pneumatic operated tools. 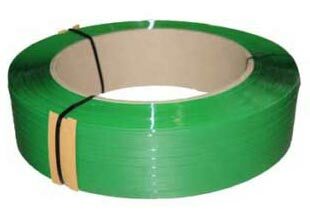 The joint strength can obtain 75% to 85% of breaking strength of strap with a uniform weld joint. Seal efficiency can be achieved under proper operating of equipment and strap selection. click here for pet strap sizes.